Now that the crazy holidays are finally behind us and our schedules are getting back on track, it's time to get the house in a somewhat organized order. That means it's declutter time! But, not only declutter time, but time to purge out the old and bring in the new. It is a whole new year after all, so what better way then to start fresh. I love it when my home is free of clutter and I like to make sure my decor is simple. It makes it easy to clean especially when in a rush or have last minute visitors. But, sometimes updating and keeping things organized can be difficult. With a few tips and tricks and style ideas to fit your budget, getting your home organized can be a piece of cake. I started with updating our fireplace area. It's the focal point of the living room and without some proper and imagintaive styling, it can be a mess. I knew this was where I needed to start. Plus, once I got my fireplace just the way I wanted, I used the new Glade® Atmosphere Collection™ Fine Fragrance Mist in the No.2 Bright™ scent to help make my home smell fresh and clean. 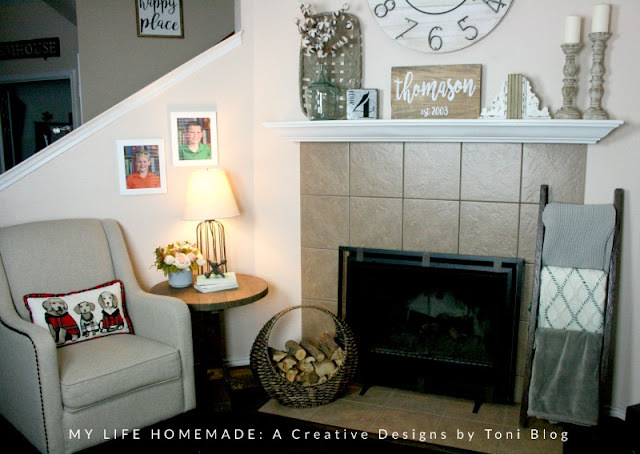 Ready to take your boring fireplace mantle and space up a notch? Look no further for a few awesome tips and tricks to get you started on your new year’s organization resolutions and goals. It's still winter here in my hometown. It's actually the coldest month of the year here and I had no place to put the firewood for the fireplace. Because, sometimes it gets downright freezing out and I need to keep my family warm. But, even if I am not lighting a fire, I need a place to store the wood for easy access. 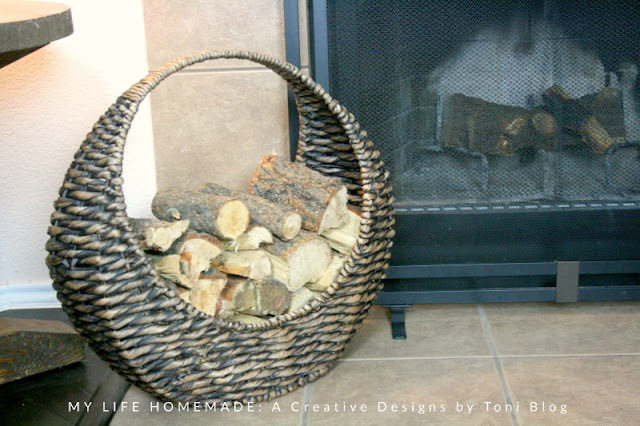 I grabbed this round basket that held a ton of cut wood that fit perfectly in front of the fireplace. Since it's still super cold, I need to have throw blankets at the ready. At all times. I like to be comfy and so does my family. But, I had nowhere to keep them except on the couch and then they always ended up on the floor. So, I added a blanket ladder and technically it's not a blanket ladder at all. It's a potholder I snatched from my parents house they were no longer using. I stained it and threw some blankets on it and the rest is history. I love what it adds to my space. It fills the space since I do not have any defined sides to my actual fireplace. 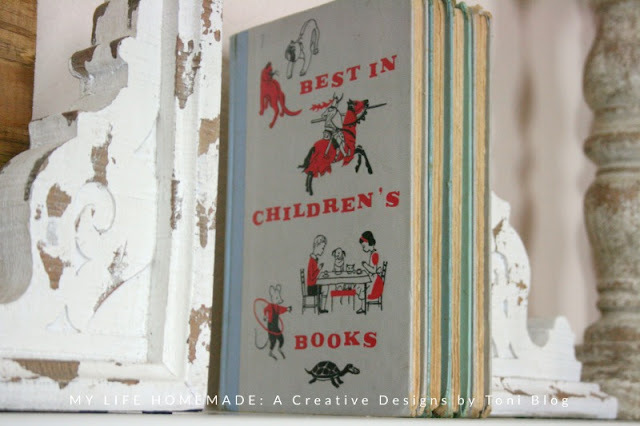 Grab some old vintage books or even some bookends. They don't even need to actually be vintage, just something that has that vintage look and feel. I went back and forth as to what to add to my mantle. I knew I wanted something simple and give some depth to the space. But, also I didn't want it to be something I had to change out often with the seasons. I had some old vintage children's book in my garage, back from the 1950's. 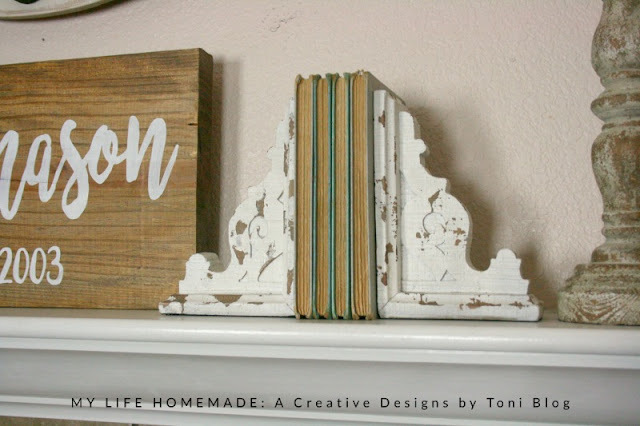 I simply turned the binding toward the back and added some bookends and it added that something extra special to my mantle. Plus, I can leave it out all year long. 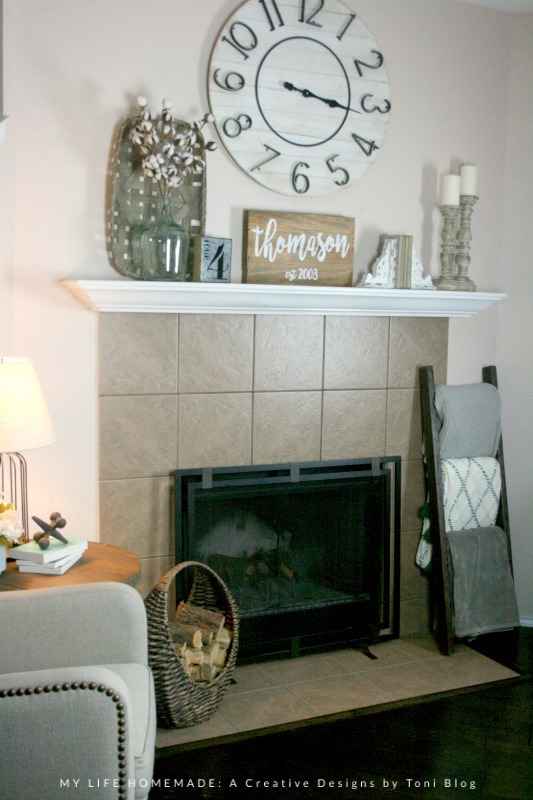 When you are styling your fireplace mantel, you want to keep it simple. 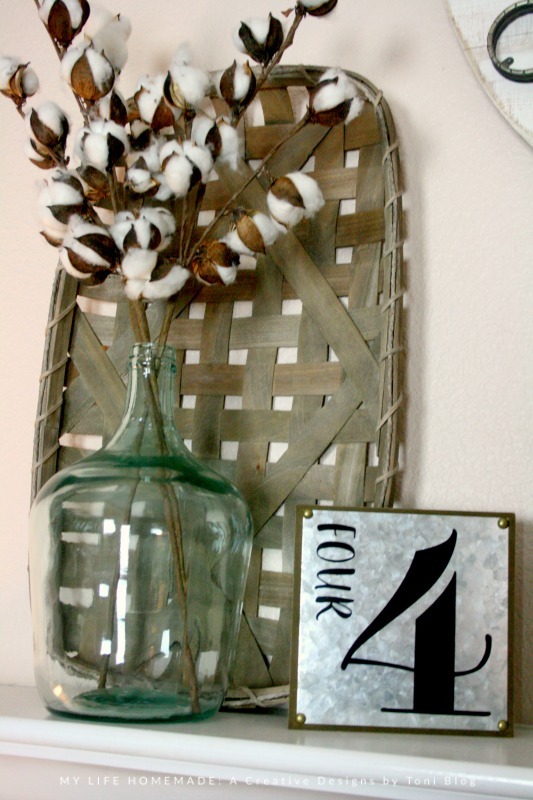 It's already a focal piece on its own so all your needing to do is accent it. So, I framed the ends with a glass vase with stems on one end and tall candlesticks with candles on the other. I wanted to add a bit of dimension and color to the mantle so I added in a basket and a couple of signs. That's it. Nothing else. Remember less is more. You're trying to declutter and make things simple. 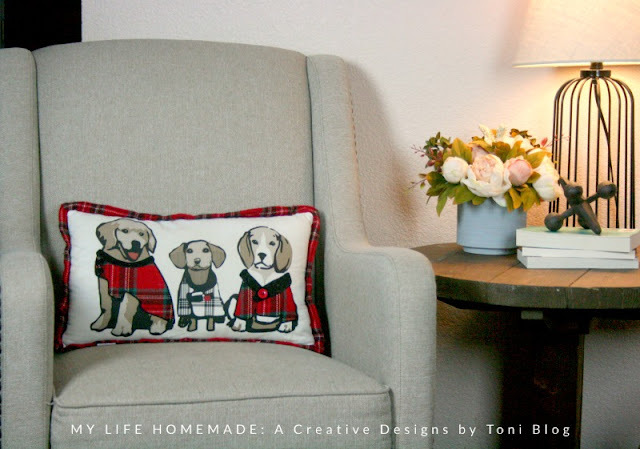 Who doesn't love a great throw pillow? But, not just any throw pillow, you need a fun and interesting pillow. I was actually given this plaid puppy pillow as a gift and it is fabulous!!! I love it and could not be more perfect in the space. It fits like it was meant for my chair and is great for relaxing and enjoying a good book by the fire. It really adds that finishing touch you didn't know you needed. 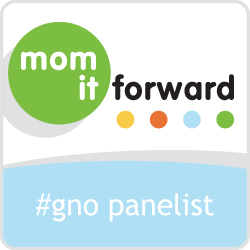 Finally, now that you have re-vamped up your space and made it perfect!! Nothing enhances great decor and all that hard work more than a great scent to top off the room. To keep my home and my newly re-organized space smelling great, I rely on the No.2 Bright™ fragrance mist to help keep it smelling great! I picked up both the No.2 Bright™ and No.1 Enraptured™ fragrance mist products at my local Walmart. The Glade® Atmosphere Collection™ Fine Fragrance Mists are infused with essential oils and masterfully crafted fragrances. I love the raspberry, pear, peach, and jasmine scents infused with sweet pea and rose of the No.2 Bright™ scent. It's the perfect scent for the inbetween season of winter and spring. 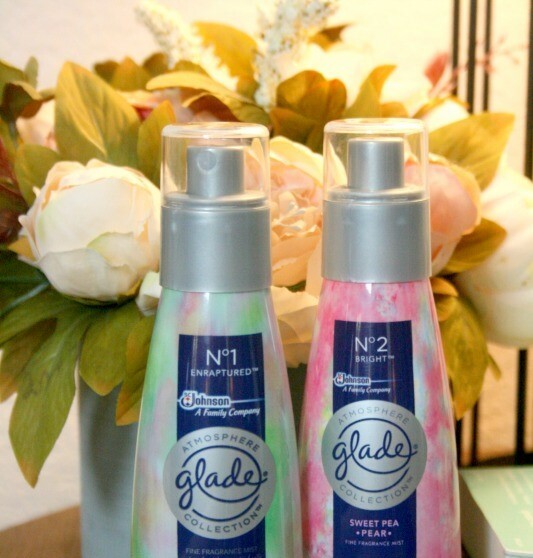 Now I know my home will look and smell great with the Glade® Atmosphere Collection™ Fine Fragrance Mist. So no matter what we have going on or who's coming over, my house will smell amazing!